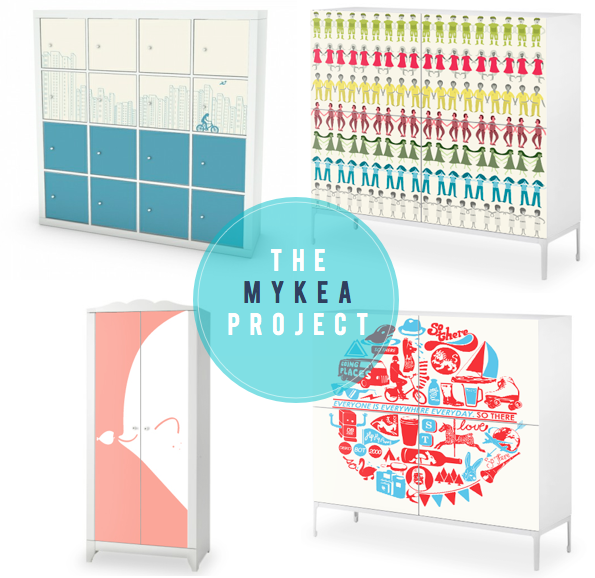 I fell upon the MYKEA project recently - it's based around customising IKEA furniture and thought I would share some of their fun and colourful designs. The basic premise of the site breaks down into three simple stages: you start by choosing your piece of IKEA furniture before selecting your sticker and then applying. 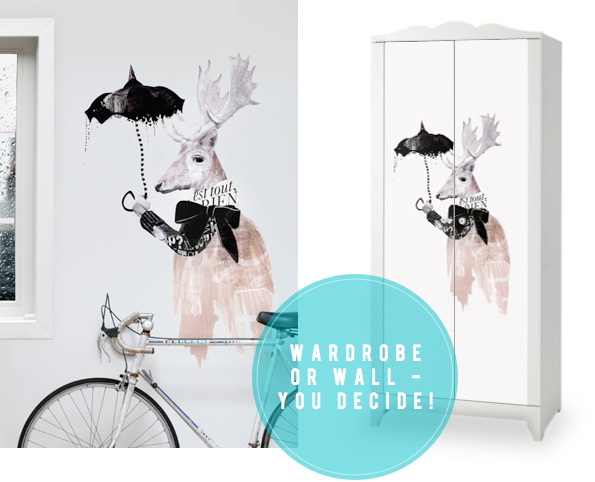 Most of the designs are perfect for children's rooms (although I do think RainDeer (above) could add a quirky talking point to a dark and moody dining room). One of my favourite designers, Judy Kaufmann, is one of the artists working for MYKEA and her 'I Love My City' and 'People' prints work really well. These are so inspiring, Will! Love these ideas! I love the dresser with the 'People' print! The variety of colors make me happy! I think they are so great. Be gone boring drawers! This is cool. You always find the best stuff! The Euro will ruin me though (I'm in Canada).